Well she is mine! 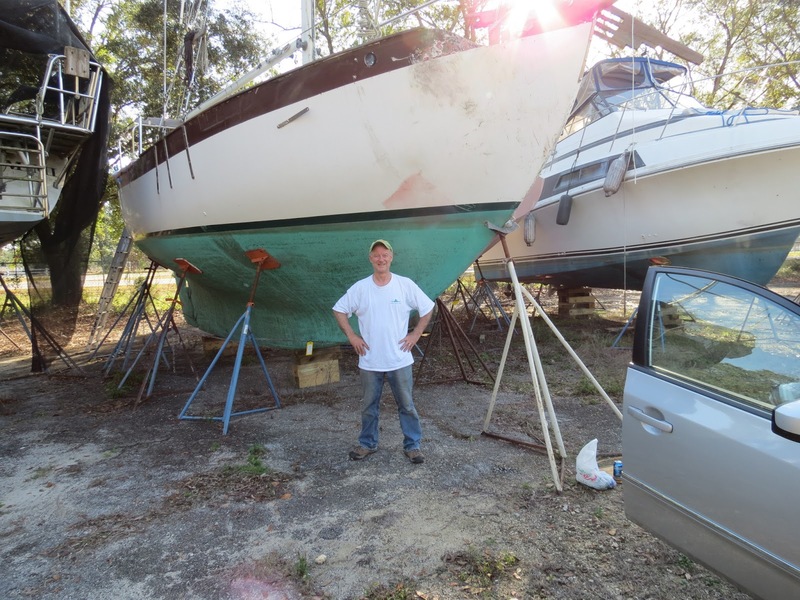 I bought Endurance, a Westsail 32 and plan to rename her Onapua. After two days of filthy, mold ridden grime, this is not the cleanest you will have ever seen me but that smile you can see is from ear to ear! I drove down to Florida, Friday morning, signed the papers and paid the marina for storage a whopping $128 per month. Threw away a bunch of rubbish and stripped the sails from her. Worked on getting the automatic bilge pump working. It had a bunch of water in her bilge so I wired up the bilge pump to come on when the float switch kicked in. After doing it I was a bit hesitant about leaving it on because of fire but went ahead with it anyway. 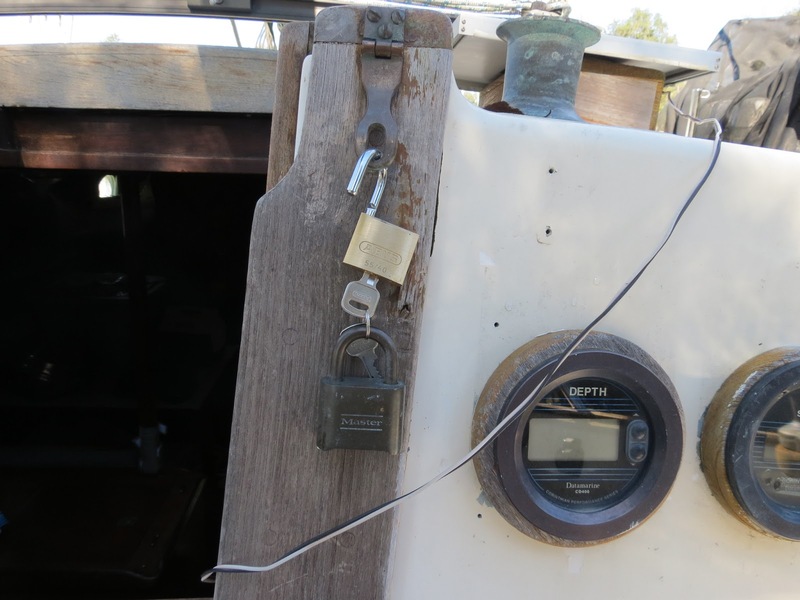 I also changed the lock on the companionway. I looked around for one that didn't rust and found this one for just $8.